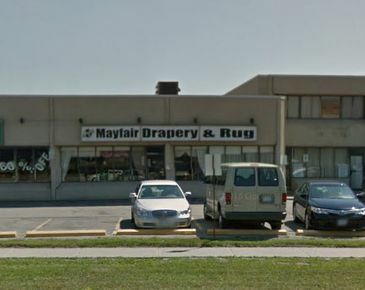 Mayfair Drapery & Rug Company has been serving the Greater Toronto Area as a leader in the custom window covering business since 1950, working to stay on top of the latest trends in window treatment design, style and fashion to better serve our Toronto area customers. We are a family owned and operated business that has built a solid reputation of service and reliability amongst our thousands of satisfied customers. other room in your home. Let us work with you to transform your home into a decorator's dream! Homeowners throughout Toronto and the GTA love our signature touch and craftsmanship and we hope you will too. To accent your custom drapery and blinds, we also specialize in the design and manufacturing of custom bedding - including custom made bedspreads, duvet covers, comforters, bed skirts and decorative pillows. Reupholstering and broadloom is also offered to put the final touches to your room so that it flows beautifully. Call the Mayfair location nearest you today for more information on our custom bedding or other services.